We have absolute confidence in everything we do. This is down to a combination of experience, skill and quality of materials – but it’s also supported by our rigorous testing processes, validated externally with ISO9001:2000 accreditation, and by our internal quality manager. Using virtual reality techniques from our own in-house simulation team, our clients’ facilities can be fully simulated to confirm performance levels. By linking the PLC and SCADA software to a virtual reality model, controlling software and diagnostics can be fully simulated to ensure that the desired functionality will be achieved. 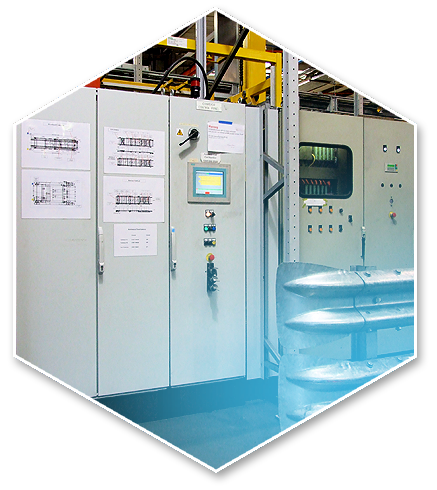 Control panels and modular components are critically inspected and tested to ensure they meet the design requirements. The electrical installations at our customers’ sites are inspected and certified in accordance with NICEIC standards. No project is complete until facility performance has been compared with the original customer requirements. Our teams will ensure any critical or contractual aspects are met before signing off your project. Basically, if you’re not happy, we’re not happy. Thanks to our testing processes, our customers can rest assured that their systems will work the way they want them to, optimising efficiency and boosting business performance.